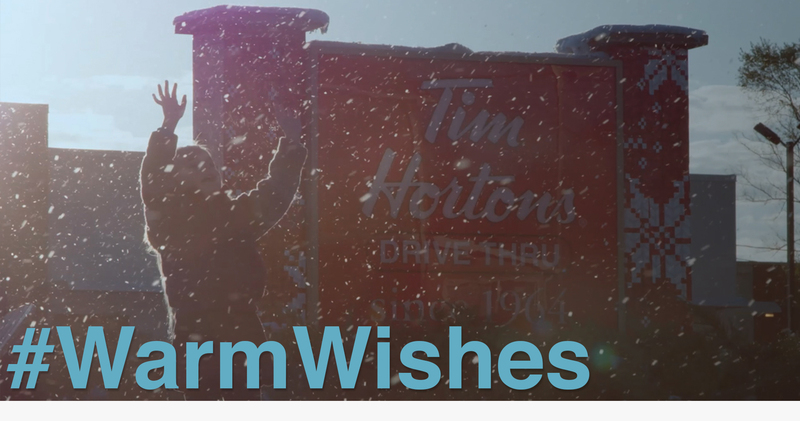 Last month we visited the small (& mighty) town of Grimsby, Ontario to spread #WarmWishes across the community. We shot for a full 24 hours, seeing the sun go down, come up, and head back down again. With a shooter stationed inside the store to capture all the wish-giving in action, as well as three teams of video crews on-the-move capturing wish-granting across the community, it was a heart-warmingly busy day. Food & clothing were delivered to those in need. Cheer (& puppies, obv) were brought to folks who could use the love. And Dad got a Timbit delivery to work because hey, your daughter Ava loves you. I mean, yeah. We got the feels. Happy holidays, folks – and here’s to bringing your own #WarmWishes to life all season long.